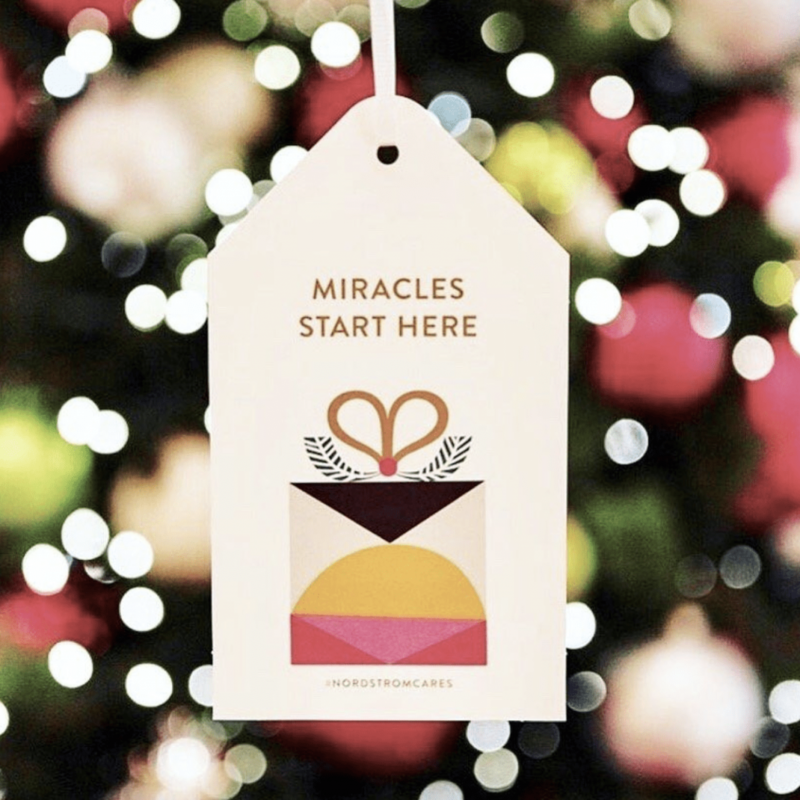 This holiday season is the perfect time to give back to your local Children’s Miracle Network Hospital and Nordstrom is giving you the perfect opportunity to do just that! Through December 24th, you can help by purchasing a $10 giving tree card at your nearest Nordstrom store. You can also make a donation online by clicking here. Your donation will help provide life-saving care, education and research at the Children’s Miracle Network Hospital in your community. On Giving Tuesday, Nordstrom teamed up with parents who understand the impact that donations made through the purchase of a giving tree card can have on local children’s hospitals. On her blog, For The Love, Shannon Willardson shared how her daughter Charlie has an incredibly rare genetic disease called Congenital Disorder of Glysylation and is one of less than 15 people who have ever been diagnosed with the disease. This has caused Charlie to spend many days in the hospital, so Shannon can relate to the experience of so many families who are treated at local CMN Hospitals. She shared that donations will “help facilitate miracles”–something she’s witnessed first-hand. “It made us feel so good to support a cause that will help other brave little ones who are fighting the good fight in Children’s Miracle Network Hospitals across the country,” Willardson wrote. Annie (@anniemaithai) shared her personal connection to the cause on her blog, Stylish Petite. Her daughter, Milan, had to undergo two surgeries at only six weeks old after she suffered from a major infection after surgical procedures. Annie was able to take Milan to Nordstrom to get an adorable new outfit and they were sure to pick up a $10 giving tree card while they were there. “You guys know how deep my love runs for Nordstrom but now that love has been amplified a million times over because of this partnership they’re doing with Children’s Miracle Network Hospitals,” Annie added. Kilee Nickels wanted to take advantage of Giving Tuesday and the holiday season to teach her sons about generosity and giving so she was excited to support Nordstrom’s campaign. Her family has also had experience at their local children’s hospital with one son being treated for a cleft palate and another for a broken arm. Cody Andrew took his son to Nordstrom to check out the giving tree cards and show him the power of giving back.